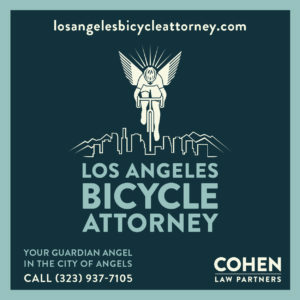 Just four days left in the 4th Annual BikinginLA Holiday Fund Drive! 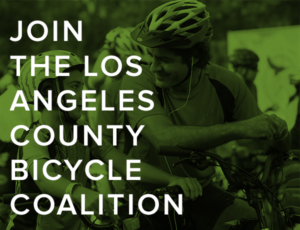 Time’s running out to support SoCal’s leading source for bike news and advocacy. Donate in just minutes via PayPal, or through Zelle with the banking app that’s already on your phone, using the email address you’ll find on this link. Let’s start with a pair of medical studies. Mike Wilkinson forwards news of a new study that shows just six months of walking for bicycling may reverse cognitive decline. Although at that rate, it ma take me a couple years. And don’t throw away your pills just yet. But a new British study shows working up a good sweat while riding can lower your blood pressure as well as prescription medication can. ‘Tis the season. 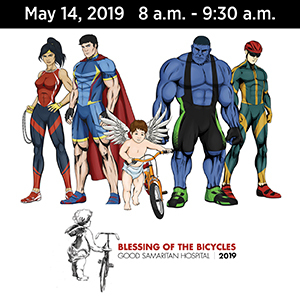 The Virginia Beach VA Rotary club teamed with a local Methodist church to collect and refurbish 45 bikes for underprivileged kids. Elon Musk unveils his first test tunnel, with plans to solve urban traffic problems using modified Teslas on an underground track. And maybe even put a bike rack on the back. Meanwhile, Streetsblog calls it a bad joke. 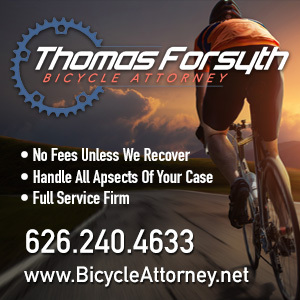 Trek Bicycle Westlake Village in Thousand Oaks is working with volunteers to donate 200 bicycles to victims of the Woolsey Fire. People for Bikes ranks the top 10 new protected bike lanes in the US. Guess how many are in Los Angeles? Streetsblog asks if e-scooters are unsafe at any speed, as the Centers for Disease Control — aka CDC — prepares to look into it. Bike Snob says cars and great cities don’t go together, suggesting that to have the latter, we have to ban the former. Snow biking in the Colorado high country near my hometown. Chicago opens separate bike and pedestrian pathways along the lake front, as well as a flyover to keep both from having to deal with dangerous intersections. Boston plans to use a peanut to improve bike and traffic safety. New York added nearly 21 miles of protected bike lanes in 2018, for a total of 45 in the past two years. Meanwhile, Los Angeles only added the semi-protected MyFigueroa. Jacksonville FL is getting its first two-way cycle track, courtesy of a new road diet. A writer for Bike Radar makes mistakes so you don’t have to. It’s been a bad year in Trinidad and Tobago, where bicycling fatalities are up 300% over last year. Cyclist explains why bikes make the perfect Christmas gift for the kids in your life. Grownups, too. In business news, virtual cycling firm Zwift has raised $120 million to expand into esports; the company already has deals to operate cycling championships in Great Britain and Australia. Uber’s Jump e-bikeshare bikes are about to jump to the UK and Ireland. Police in Punjab, India are “adopting” ebikes in a pilot project. A New Zealand man invents a detachable taillight assembly to keep your bike and rack from blocking your car’s lights. The CEO of dockless bikeshare provider Ofo says the company nearly filed bankruptcy after misreading the market, in what would have been the biggest failure of a Chinese startup. Belgian cyclist Tosh van der Sande has been suspended by his Lotto-Soudal team after testing positive in a doping test. Thank goodness the doping era is over though, right? Floyd’s Pro Cycling, the new Continental-level cycling team started by America’s other ex-Tour de France winner, is attracting top talent by promising riders they’ll get to compete on a variety of surfaces and types of racing. Following in his dad’s tire tracks, a man sets out to finish the 120-mile, three-pass Colorado road race his father created. A West Virginia woman uses a sports talent search to make the rare leap from high school wresting and soccer to track cycling Olympic hopeful. Now you, too, can own the Van Gogh inspired bike that Giant gave Dutch cycling star Tom Dumoulin, for a low, low $22,000. Cutting off your ear to match the bike is optional. Pseudo cycling products for cheapskates. Chances are, those grey-bearded guys could drop you like freshman English. And so could a 90-year old spin instructor. Thanks to James E and Darryl K for their generous donations to the BikinginLA Holiday Fund Drive to keep this site coming to your favorite screen every morning! Here in Germany these types of racks for bikes are common.